Jeff Atkinson is general manager of Puronics Service, Inc.
Our bodies are 50 to 65 percent water. Water helps to flush wastes from your system, keeps your body temperature regulated, and keep your body healthy. Most people should drink 48 to 64 ounces (six to eight eight-ounce glasses) of water a day. However, those living in hot climates, those who exercise or sweat more than average, individuals who are sick (especially with the flu or another illness that has the potential to cause dehydration), or those with kidney or liver problems may need to drink even more. It’s true that juices, coffee or tea, vegetables and other foods and drinks can help provide the liquid our bodies need to function, but pure water is usually the best option. Most people can safely drink the water from their taps. But that’s not always true. If your water tastes funny, has sediment present, is overly hard, contains nitrates or pesticides, contains bacteria or viruses, or you fear for the overall safety of your water, you may want to have your water tested and consider hiring a water treatment service in Alameda County to provide a filtration system to make your water safe and potable again. The articles below will give you more information about drinking water safety, water filtration options and hiring water treatment companies in Oakland, Fremont, Hayward, Berkeley, San Leandro, Alameda, Union City, Pleasanton, Newark and Dublin and other areas in Alameda County or near you. Do you Need a Water Filter for Your Home or Business? Most of the municipal water supplies in the United States are safe to drink from. In fact, the US Environmental Protection Agency (EPA) says that more than 90 percent of tape water in the country is safe to drink straight from the tap with no extra filtration. However, not everyone whose home or business pulls from the municipal water supply has safe tap water or good-tasting tap water. Others have well water that may not meet safe drinking standards. Radon in their well water. Well water with nitrates, radium, arsenic or pesticides present. The presence of chlorine and/or fluoride in tap water. Hard water that includes calcium, magnesium or other materials. Tap water with sediment, clay or other solid particles. The presence of viruses, parasites and bacteria including giardia and cryptosporidium. Homes with children or those with compromised immune systems. If you think your water may contain contaminants such as radon, lead, nitrates, radium, arsenic, pesticides, chlorine, viruses, parasites, bacteria, or other contaminants, you may want to have your water system tested. Then, you will know which water filtration options are best for you. If your water isn’t tainted with a dangerous substance and you aren’t ready to invest in a water filtration system from a water treatment specialist in Alameda County, you may be able to make water more potable by letting the water run for a few minutes before drinking it, boiling tap water to remove some microbes, or refrigerating chlorinated water in a pitcher before drinking it to allow some of the chlorine to dissipate. However, if you’d rather be able to safely drink the water straight from your tap, you may want to explore some of the options below with your Alameda County water filtration company. Water purification systems include point-of-entry water filters (those that filter water at the point of entry into the home so the water that comes out of every faucet is already purified) and point of use filtration systems, which filter water at the individual faucets. The type of water filtration system you choose will depend on the type of contaminants in your water and your preference for where the water is filtered. Filtered water pitchers with replaceable filters that remove chemicals and other contaminants. Filtration water pitchers are affordable and easy to use for people of all ages. However, they have some limitations as far as the size and type of particles they can remove. Individual water bottles with filters also exist. Faucet-mount water filters attach to the end of standard sink faucets. The water runs through the filter on the way out of the tap and into your glass or water pitcher. Reverse osmosis water filters. These filters force water through a membrane to remove chemicals, microbes and other contaminants. They are very effective and can remove very small particle sizes. Water distillation units. Water distillers boil well water or tap water and remove the water vapor and contaminants. Because the water distilling process removes many minerals from the water, it may change the taste of the water. Aerators. Water aerators filter water by using jets of air to remove some chemicals, including radon and gasoline components. Water softeners can correct water hardness by replacing the calcium and magnesium in the water with sodium or potassium. Absorptive water filtration systems are usually carbon-based water filters that remove solid and liquid contaminants by absorbing them into the filter. Plumbed-in water filtration systems are installed inline, which means they filter all water that passes through the pipes. This means that all water coming into the home and through the faucets is filtered in one central space. Industrial and commercial facilities in Alameda County need specialty water treatment services different from those available for homes and residential buildings. That’s because commercial and industrial buildings use much larger quantities of water than single-family homes, and may need different levels of water purification. 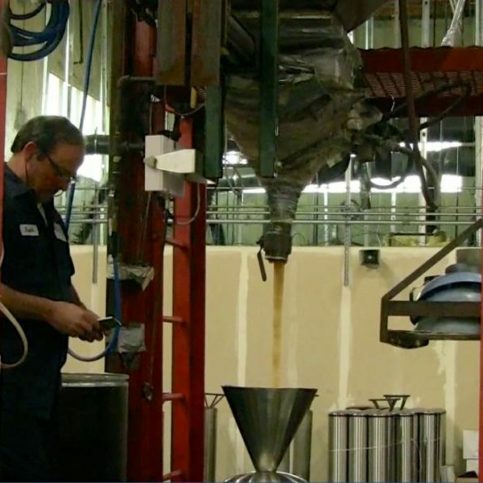 Water treatment companies in Alameda County may be able to provide water filtration services for industrial buildings, commercial facilities such as stores and shopping centers, multifamily homes including apartment buildings, schools, office parks and other areas. Alameda County water filtration services may also be able to filter water going out of industrial buildings so that it can be released into city sewers without compromising public safety. If you are in need of water filtration or water treatment services in Alameda County, talk with local water treatment companies in Oakland, Dublin, Fremont, Newark and Hayward or near you about the details of your job. Why Trust Diamond Certified Water Treatment Companies Rated Highest in Quality? 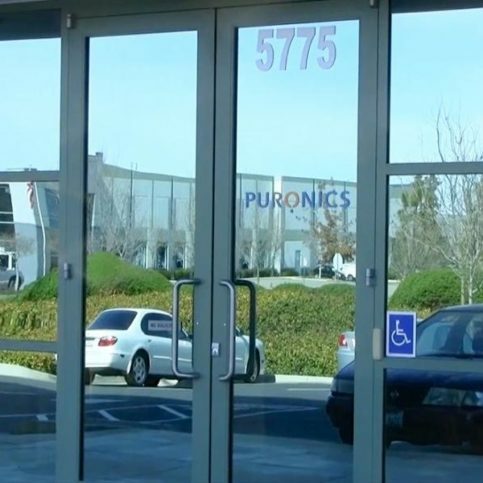 Puronics Service’s national headquarters is located in Livermore. A Puronics Service technician fills a water treatment system with filter media, which is a key component in treating water to filter down hardness, taste, odor and chlorine. This Defender® whole-house water treatment system features a fiberglass tank and is designed to remove the taste and odor of chlorine, inhibit the growth of bacteria, and soften the water. 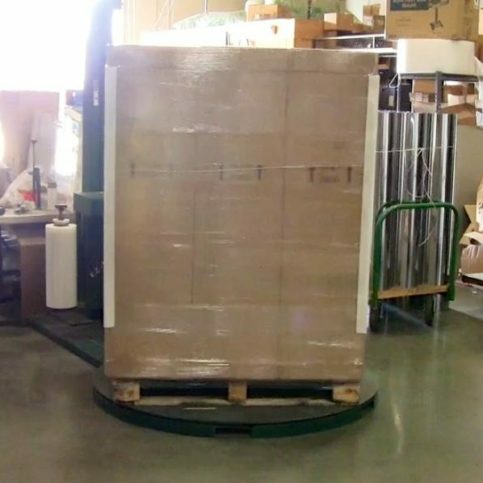 These water systems are being shipped from Puronics Service’s manufacturing facility. 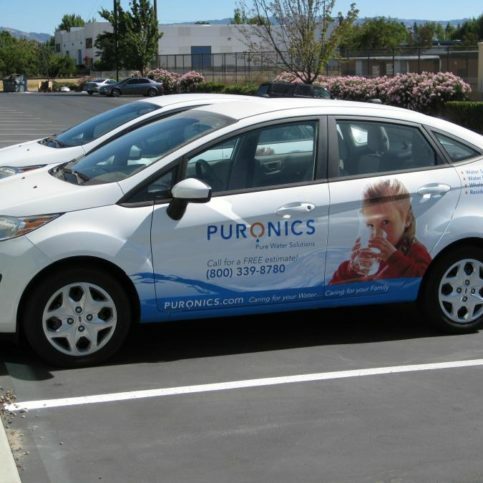 Puronics Service serves clients throughout the Bay Area. 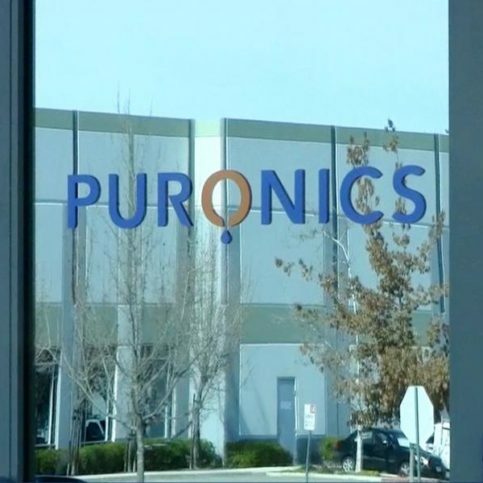 These water systems are in the process of being manufactured at Puronics Service’s manufacturing facility. This Terminator® water treatment system is designed to remove the taste and odor of chlorine, inhibit the growth of bacteria, and remove water hardness throughout the entire house. 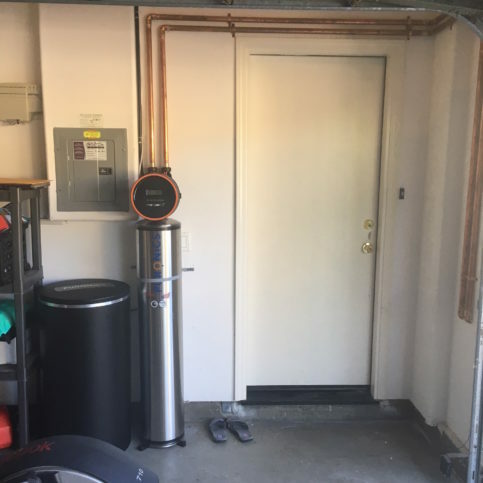 Puronics Service installed this Terminator® whole-house water system in a customer’s garage. 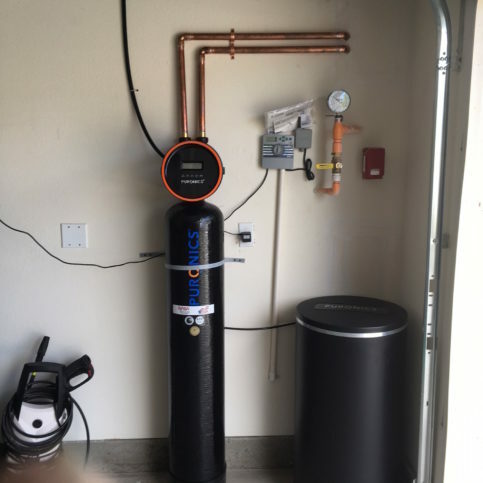 Puronics Service installed this Defender® whole-house water treatment system with a fiberglass tank in a customer’s home. The following associations and agencies deal with water filtration and water safety in the Bay Area. They may have more information about home water filtration, clean drinking water and local water treatment companies near you. You’re more likely to get a good outcome on the water treatment services you need if you take a few minutes to think about what you expect from the company you hire to do the work. When starting your search for a local water treatment company, whether it’s in Pleasanton, Berkeley, Union City, San Leandro and Alameda or another location, begin by asking yourself a few basic questions about the type of water filtration services you need. Write down your answers as having specific goals can help you present a coordinated case to the companies you interview. Do I want a Diamond Certified water filtration company that is rated best in quality and backed by the Diamond Certified Performance Guarantee? Do I know what problems my water has (hard water, chlorine taste, sediment in water, poor well water, sulfur water, rusty water, etc.)? Do I need a water test to narrow down my water problems? Do I need a water filter for my entire home or business? What is my budget for a new water filtration system? After you’ve completed your phone interviews of local water filtration companies, you’ll want to invite representatives from the the stand-out services to your home or business to see the job in question and give you an estimate for your new water treatment system installation. Again, write down the answers you get to the questions below and any others that are pertinent to your needs so you can easily compare the water filtration services in Dublin, Newark, Pleasanton, Union City and Alameda and other areas that you’ve interviewed. How do you recommend we treat the water problems? Do these water quality problems require whole house water filters, or can we use a single tap water filter? What is the total cost expected to purchase the water filtration system? What is the upkeep and filter cost going forward with this water filtration system? Will this water filtration system use a lot of electricity? Is my home electrical system big enough to handle the extra load? Do your water filtration systems come with an indicator light or alarm that will advise us of a problem with the filter or a system malfunction? What is the expected life of this water treatment or filtration system? It’s best to choose a Diamond Certified water treatment company because all certified companies have passed an in-depth ratings process that most other companies can’t pass. 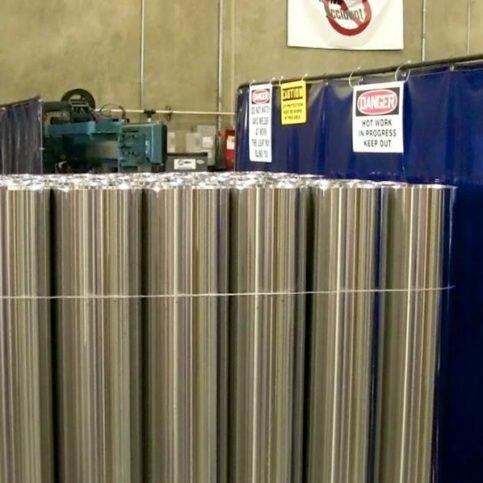 If you want quality from a water treatment company in Alameda County and the greater Bay Area, you can have confidence choosing a Diamond Certified company. If you can’t find a Diamond Certified water treatment company within reach, you’ll have to do some research on your own. If you do, it’s wise to call some references provided by your Alameda County water treatment company. Keep in mind, though, that references provided to you by Alameda County water treatment companies in Dublin, Newark, Pleasanton, Union City and Alameda and other areas are not equal in value to the large random sample of customers surveyed during the Diamond Certified ratings process. If you do call references on your own, specifically ask for a list of the water treatment company’s 10 most recent customers. This will help avoid them giving you the names of only customers they know were satisfied. A list of sample questions is below. Were you satisfied with the service from _(water treatment company name)_? What was the type and scope of job they did for you (new home water treatment system installation, reverse osmosis water treatment system, water softener installation, acid water filter services, well water filtration, whole house water system, sulfur water filtration, commercial water treatment, industrial water treatment, water contaminant filtration system, etc.)? Were the Alameda County water filtration system installers prompt and personable? Did the water treatment contractor explain to you the status of the work? Did the water treatment experts finish the work on time? Were there unexpected costs with the water filter installation or operation? If so, what were the extra costs for and were they avoidable? Did the electricians charge extra to travel to your home if you live in a smaller Alameda County area such as Sunol, Russell City, Mount Eden, Livermore and Cherryland and beyond? Did the water treatment contractors clean up after finishing the job? Would you recommend this water filtration company’s services to friends or family? When you need water filtration service in the future, will you hire this Alameda County water treatment company again? There are many good water treatment companies in Alameda County, including those in Pleasanton, Berkeley, Union City, San Leandro and Alameda and other areas near you. Before deciding on the best water treatment company in Alameda County for you, it’s important to consider the following questions. Is there a water treatment company on your list that can meet your needs for water testing, home water treatment and filtration services, water system supplies and materials, water filter brands and installation, or repair requirements? Are the Alameda County water treatment experts you spoke with knowledgeable about the cause of your water problems and the water treatment systems or water filtration equipment you need? Can they easily explain to you which water filtration or treatment products and brands best fit your needs? Is the Alameda County water filtration company sensitive to your budget? Can they give you varying bids for equipment that meets your needs and your budget? Do the water filtration services guarantee their work and offer warranties on the water treatment equipment and products they supply? Just like homeowners can be choosy about whom they hire, many water treatment companies and other service businesses prefer to work with customers who are reliable, fair and honest. Bids can be expensive to prepare and no water filtration service wants to waste time bidding on a job that homeowners aren’t serious about. How can you be the kind of homeowner that the best water filtration companies in Oakland, Dublin, Fremont, Newark and Hayward and the rest of Alameda County want to work with? See the tips below. Hire a water treatment company based on value, not just the lowest bid. Many people start their discussion with Alameda County water purification services by asking about price. Show your interest in quality water treatment systems by asking questions about the products, installation techniques, warranties and overall value rather than price alone. Be upfront with the water treatment companies you’re interviewing if you’re accepting multiple bids for the work. But only shop among carefully-selected water filtration companies that offer quality work and don’t accept more than three to five bids. Tell your Alameda County water treatment company exactly what your water problems are, what water filtration systems you are interested in, and every specific direction or request you have. This will enable them to give you an accurate bid for the work and gives them insight into exactly what you want. If they can’t provide what you need or want, it’s better to find out before you’ve wasted your time and theirs. Interview and choose among local water treatment services in Alameda County. Most water filtration services prefer to work within a smaller radius, as this allows them to provide faster service and reliable customer service without having to travel long distances or make appointments long in advance. Now that you’ve found the water treatment company in Alameda County that best fits your needs, whether it’s in Oakland, Fremont, Hayward, Berkeley, San Leandro, Alameda, Union City, Pleasanton, Newark and Dublin, San Lorenzo, Komandorski Village, Albany, Ashland and Emeryville or another area, move forward and sign a contract for services. Good contracts should include details about the scope of the water treatment work, any materials and filtration products to be used, payment terms, the expected time line for the job and any warranties and guarantees that will cover the new water filtration system. Your water filtration company should provide the contract to you and allow you to read through it and ask any questions you may have before signing it. This agreement protects you, your property and the contractor, so it’s important that you understand all terms and exclusions. Never sign an incomplete or blank estimate or contract. Write in any items you verbally agreed upon with your water treatment provider. These may include expectations and instructions, start and end dates, stipulations for when the work must be completed, and any bonuses or offers you wish to extend for early completion of the work. It’s the water treatment company’s responsibility put in quality water filters using the best possible installation techniques. But you play a big part in the success of your home water treatment work, too. Here are a few simple steps you can take to be a good customer when hiring Alameda County water treatment companies. Be clear and upfront with the water treatment company. Let them know what you want from your water treatment company, the long-term outcome you’re expecting and specific ways they can satisfy your expectations. Remember, a friendly smile goes a long way in fostering and maintaining a good working relationship with your Alameda County water filtration service. Before you hire a water treatment company in Alameda County, restate your expectations and goals, and reiterate to the water treatment company representative your understanding of the agreement. Most problems with local water treatment company occur because of a breakdown in communication. By being clear about your expectations and theirs, you can avoid most conflicts. Ask your water treatment company if you should call to check on the progress or if he will call you with updates. Be sure your service representative has a phone number where they can reach you at all times while they’re water treatment company. The work will move along more smoothly if your water treatment company can reach you for any necessary updates, questions or work authorizations. When your contractor contacts you, return calls promptly to keep the water treatment company on schedule. Pay for the water treatment company work promptly. Why would you want to be a good customer? Water treatment company in Alameda County, including those in San Leandro, Berkeley, Hayward, Fremont and Oakland and beyond, appreciate customers who are straightforward, honest and easy to work with. When the new water filtration system or water treatment equipment is installed, it’s your job to verify all work was done correctly and all items were installed as promised. It’s best to do this before your Alameda County water treatment contractor leaves the job site for the last time. This way, if there are questions or discrepancies, you are more likely to get answers. Before your water filtration contractor leaves, ask them to walk you through the job, showing you what was done and how to run the system. Ask for any special instructions on operating, maintaining or servicing your equipment. Then, ask for a written invoice before you settle the bill. The water treatment company contractor’s name, physical address and state license number. The total cost for the water treatment company services, including the itemized amount charged for labor. A written explanation of any warranties or guarantees provided by the product manufacturers and the water treatment company contractors. The better Alameda County water treatment companies offer warranties and guarantees on both their workmanship, equipment and materials. Some guarantees will be honored by the company (usually guarantees dealing with workmanship, installation and services), while the equipment manufacturers will be responsible for honoring other warranties (usually on the equipment itself). 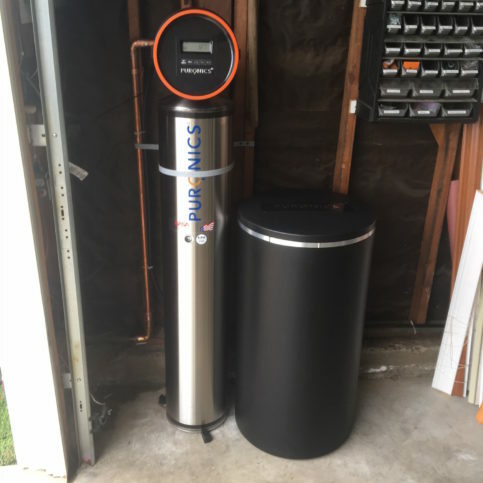 Whether you are hiring a water treatment contractor in Dublin, Newark, Pleasanton, Union City and Alameda or beyond, it’s important that you ensure your new water filtration equipment and systems are covered by warranties that will protect you, your home and the value of your new filtration system. Be sure you know which entity is responsible for guaranteeing your home water filtration system, and who to contact in the event of a system failure or product malfunction. The Alameda County water treatment contractor’s name, physical address and state license number. A description of what exactly the warranty covers. This should include whether the water filtration contractor will repair or replace any faulty materials or workmanship or whether you are responsible for contacting the manufacturer for assistance. Your responsibility in the case of a problem with or failure of your water treatment system or water filter, and what you need to do in order to redeem the warranty. If the warranty coverage is transferable to the new owner if you sell the home or commercial building in which the work was done. You will have to contact your local water treatment companies to find out exactly which water filtration systems and services they recommend for your needs. Some of the most popular in Pleasanton, Berkeley, Union City, San Leandro and Alameda and beyond are listed below. Residential water treatments are those commonly installed in homes, apartments and condominiums. These may include water filtration systems, water softeners, faucet water filters, reverse osmosis water filtration systems, systems to remove unwanted odors and taste from water, and other systems to make home water more potable. Reverse osmosis dissolves ions in water by forcing water through a semi-permeable membrane. This allows water to pass through, while separating out most suspended and dissolved materials. Reverse osmosis is so named because mechanical pressure is used to force the water to flow in the direction that is the reverse of natural osmosis. Hard water filtration systems remove calcium, magnesium and other materials from water. 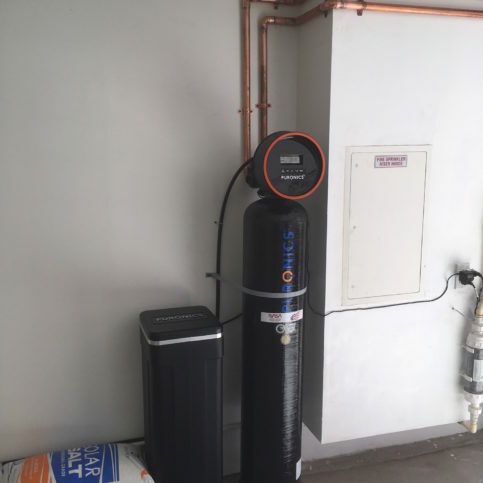 These water filtration systems are usually installed in the basement or near the main water line, and they are used to filter all water coming into a home. Rather than filtering only water in certain faucets or rooms, all water in the home is filtered using the same equipment. This is especially useful for homes that use well water, have hard water, water with too many minerals, or water that has sulfur or iron content. Commercial water treatment systems are installed in commercial buildings such as public buildings, schools, hospitals, municipal and government buildings, workplaces, airports, offices, shopping centers and other non-residential facilities. These may include chlorine removal systems, water filtration for well water, hard water filtration systems, mineral removal systems and solid material filters. Water filters are equipment used to filter out solid particles, organic material, inorganic material, minerals, and other contaminants in water. Water filters may be in pitchers, refrigerators, individual sinks or whole house/whole building filtration systems. Water softeners remove calcium, magnesium and other minerals that cause hard water. Hard water can cause lime and build up on sinks, faucets, showers and other materials. Water with iron particles present may smell bad, taste bad, have a strange color, and may even cause staining on clothing, sinks and other items. Iron water treatment often includes filtration to remove iron from the water, making it more palatable and better for use around the home. Well water, municipal water supplies and other drinking water sources may include chlorine, sediment, iron, or other organic and non-organic contaminants. Treatment systems for drinking water include filters to remove these contaminants, softeners to remove magnesium and calcium, and filtration to remove chlorine. Well water can contain contaminants including sediment, iron, phosphates, runoff from local farms, and other unwanted organic and inorganic contaminants. Well water treatment systems remove these contaminants so that the water is safe for drinking and use in the home. Different Alameda County water filtration services recommend various water treatment equipment depending on their experiences and the needs of their customers. Below, you’ll find a list of some of the most common water treatment equipment and water filters available in Alameda County and across the Greater Bay Area. Water treatment has its own vocabulary. The following words and terms will help you better communicate with your water treatment expert and get the water filtration system for your home or business that best fits your needs. 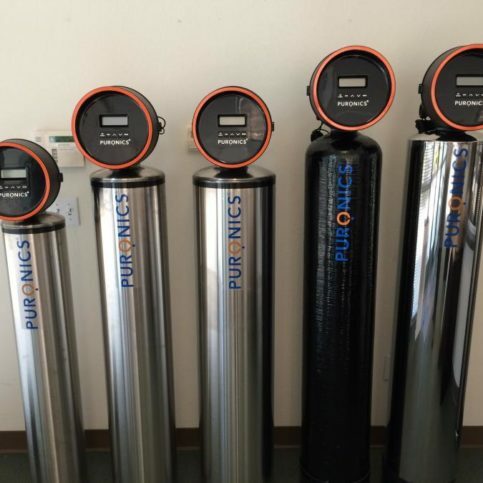 Activated carbon water filters clean water by flushing it through block, granulated or powdered carbon material (usually coal, wood or coconut shells) to filter out and absorb contaminants such as chlorine, organic chemicals, radon and other organic materials from drinking water. Aggressive water is the term for water that contains acid or oxygen that corrodes or rusts metals. Alkalis such as potassium, magnesium, soluble hydroxide, carbonate, bicarbonate salt of calcium or sodium may be present in water. This can cause dry skin, bitter tasting or slippery feeling water. Bacteria in water are single-celled microorganisms that are sometimes found in drinking water. Most city water is treated with chlorine, which kills bacteria. But some types of bacteria, such as giardia, cryposporidium and others can have a degree of immunity to chlorine and may need to be removed by filtration. Calcium can be found dissolved in drinking water and causes scale, soap scum and other hard water effects. Calcium is safe to drink, but many people want to filter it out of their water for better taste and cleaner surfaces. Chlorine is a disinfectant used by many municipal water systems. Chlorine may make water safer to drink, but it may leave behind an aftertaste. The process of removing alkalinity (or lime) from water. Removing chlorine from water using activated carbon or catalytic filters. The act of removing salt from water to make it drinkable. Water desalination is usually accomplished through reverse osmosis, distillation, or electrodialysis. A device that removes contaminants, taste, odor and color from drinking water. Filters may be whole house water filtration devices, water filter pitchers, sink filters or cartridge water filters. The process of running water through some type of porous filtration device or filter to remove solids and other contaminants that cause water to be unsafe, taste or smell badly or have a color that makes it unsatisfactory to drink. The rate at which a liquid (usually water) flows through a filter. Flow rate for water filters is usually rated in gallons per minute per cubic foot of filter. The flow rate must be what is suggested for that specific filter or the water will not be as pure as promised. Giardia is a common protozoan found in contaminated drinking water. Giardia comes from animal waste and leaches into water. Giardia is contagious and can cause vomiting and diarrhea in individuals who ingest infected water. It is not removed or killed by UV light, iodine or cholorine, and can only be removed by water filters that have a four micron or less rating. ‘Grains per gallon’ is the way solid materials in water are measured, and is often used to express the hardness of water, since hard water has a higher prevalence of solids than does soft water. A grain is considered 1/7000 of a pound, or 0.0648 grams. One grain per gallon equals 17.1 parts per million. All water found in the ground, including subsurface water, well water, aquifer water and deep ground water is known as groundwater. Hard water is water that has an abundance of dissolved calcium and magnesium. Hard water causes scale formation in pipes and water heaters, and forms a curd-like substance when it reacts with soap and some detergents. Water hardness is often expressed in grains per gallon, parts per million, milligrams per liter, and calcium carbonate equivalent. Water that has a total hardness of one grain per gallon or more is considered hard water. Inorganic matter is defined as materials not derived from living organisms. Because it was never living, inorganic matter contains no organically produced carbon. Inorganic matter found in water may include rocks, minerals and metals. Iron is a common element dissolved in ground water, and, therefore, drinking water from municipal water supplies and well water. Iron is a problem in drinking water because it tastes badly, can smell bad, may be discolored and can stain fabrics and other materials. Nanofiltration is a membrane water filtration process that treats water between reverse osmosis and ultrafiltration the filtration and separation spectrum. Nanofiltration can remove particles between 300 and 1,000 molecular weight. Organic matter in water is materials and derivatives coming from plant and animal matter. Inorganic matter derived from rocks, minerals and other non-living sources. Organic matter can be identified by its carbon-hydrogen structure. Osmosis is the process of filtering water through a semi-permeable membrane that allows water to run through while capturing most dissolved substances in the water. pH rates the acidity of solutions, including water. Liquids with a pH of 1 are very acidic, those with a pH of 7 are neutral, and a pH of 14 is basic. The pH7 neutral represents a liquid with equal concentrations of free hydrogens and free hydroxide ions. Potable water is all water that is deemed safe for human consumption, cooking and household purposes. Water from wells and other locations before it is treated or processed. Reverse osmosis dissolves ions in water by forcing water through a semi-permeable membrane. This allows water to pass through, but separates out most other suspended and dissolved materials. Reverse osmosis is so named because mechanical pressure is used to force the water to flow in the direction that is the reverse of natural osmosis. A water filtration system that removes small and large contaminants from drinking water. Ultrafiltration is especially useful for water that contains grease, oil or a large amount of suspended solids. This may be done before running water through a reverse osmosis or nanofiltration systems. The treatment of water that improves its quality by removing contaminants and solids, neutralizing acidity and pH, and making it potable and safe. Customers throughout the Bay Area have many questions for local water treatment companies. Some of the most common questions and typical answers are found below. The answers below are likely those you will hear from water filtration experts, but it’s always best to talk with your water treatment service about your specific needs. Q: Why choose Diamond Certified water treatment company? A: Diamond Certified helps you choose a water treatment company with confidence by offering a list of top-rated local companies who have passed the country’s most in-depth rating process. Only water treatment company rated Highest in Quality earn the prestigious Diamond Certified award. Most companies can’t pass the ratings. American Ratings Corporation also monitors every Diamond Certified company with ongoing research and ratings. And your purchase is backed by the Diamond Certified Performance Guarantee. So you’ll feel confident choosing a Diamond Certified water treatment company. A: Water filtration is the process of removing from water impurities, contaminants, metals and microorganisms. Water purification can be performed through a whole-house water filtration system, sink-mounted water filtration system or other water filtration system. Talk with a local water treatment company about the best method of removing impurities from your water. Q: Can water purification remove bacteria from drinking water? A: Yes, water purification and water filtration can remove bacteria from drinking water. This usually is done through water disinfection. Biocides, chlorine, UV light and other methods are used to remove bacteria and other microorganisms. Q: Can water filtration systems remove phosphates, ammonia, nitrates and fertilizers from drinking water? A: Water purification systems can remove fertilizers, phosphates, nitrates, ammonia and other contaminants through various methods. This usually includes aerobic and anaerobic methods of removal. Q: My drinking water isn’t clear—what could that mean and what can I do about it? A: If you have well water and it’s rust-colored, that probably means you have iron in your water. Water that is tinted black may be contaminated with manganese or sulfur (which smells like rotten eggs). These problems can be remedied with an ion exchange water treatment system. Water with dirt or fine particles of sand or clay may require a coagulation filter system. Talk with your water filtration expert to find out exactly what is in your water and how to treat it. Q: My drinking water has a bad taste. Can that be fixed? A: Water that tastes bad may not be dangerous, but can still impact your willingness to use it for drinking and cooking. Reverse osmosis filtration systems can remove particles and taste from your water. Carbon filters can remove chlorine taste from drinking water. You may opt to install a whole house water filtration system or a small filtration system that treats only the water from the kitchen sink. Q: Is tap water safe to drink? A: Tap water is tested for contaminants, but that doesn’t mean it is always safe from bacteria, chemicals, leaching heavy metals or other contamination. Tap water also may contain up to a certain level of contaminants that are under a level deemed safe by experts. Local water supplies are often cleaned using chlorine and other chemicals, and many locales add fluoride and other additives that some people may not want. Depending on your city, the water pipes and water filtration system may be worn, old or in need of replacement. The safest way to protect your family from contaminated water is to have an in-home water filtration system. Q: Is water from reverse osmosis filtration systems better than bottled drinking water? A: Reverse osmosis filtration systems are multiple-stage water purification systems that completely remove any contaminants from drinking water. Some systems even add minerals to the drinking water to make it taste fresher than bottled water. Reverse osmosis drinking water systems allow homeowners to purify their tap water just before they drink it so it is fresher. And having a water purification system in-home negates the need for buying bottled water for drinking of cooking. Q: Is reverse osmosis water filtration the most effective way to clean drinking water? A: Yes, reverse osmosis is considered the most effective way to filter water. Reverse osmosis involves filtering water through a semi-permeable membrane rated at 0.0001 micron. Reverse osmosis filtration is so effective that it can desalinate sea water for drinking purposes, and is the most common method used to purify drinking water. Q: Are activated carbon cartridges good water filtration systems? A: Activated carbon water filtration cartridges are less effective than reverse osmosis water filters. They have larger pores within their filters, usually 0.5 to 10 microns compared to 0.0001 micron for reverse osmosis water. This means that activated carbon filters can usually remove larger pieces of sediments, particles and elements. Any finer particles and dissolved materials cannot be filtered out, so some chemicals and elements will remain in the drinking water. Q: Why would I need an ultraviolet water filtration system? A: UV light can disinfect filtered water, including removing bacteria, viruses and microorganisms that are destroyed by UV light. Most municipal water supply customers don’t need ultraviolet water filtration because most municipal water supplies are chlorinated, which removes the same microorganisms that are killed by UV light. Customers with well water or those who may have contaminants in their water may want to add UV light filtration to their water. Q: How do I find out what contaminants are in my drinking water? A: You can have a water analysis performed and sent in to a state-approved laboratory for testing. You can get more information by contacting the California state health department or the EPA Safe Drinking Water Hotline at 1.800.426.4791. You can also buy a home water testing kit, which can test for various contaminants. Q: How do I know which water filtration system is best for my home? A: First, you’ll want to know which contaminants are in your water. Then you can find the right water filtration system to rid your water of the harmful contaminants. You can find a number of good systems in stores, via the internet or through local water conditioning companies.